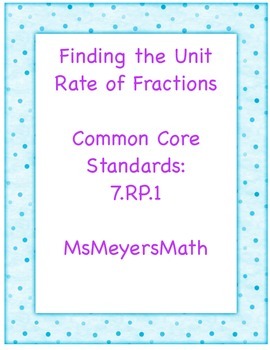 This graphic organizer will help make finding unit rate with fractions much easier. 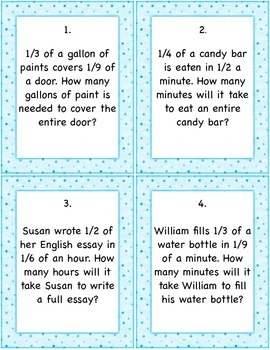 You can use these task cards in a station or you can use as a whole class and give out the graphic organizer. You can also make different sets and have students work in cooperative groups. This goes with Module 1 of the Story of Ratios and goes along with 7.RP.1. 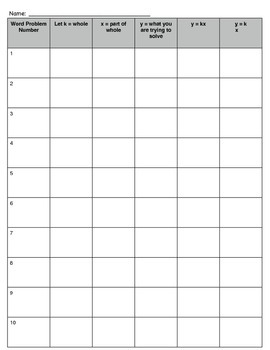 Includes 10 task cards and graphic organizer with answers.